St. Matthew’s Renovation Fundraising Campaign is launched at all Masses. For the first time, images of the projected transformation of outside and inside the church have been published. Watch this space for further news of the campaign, and its progress! 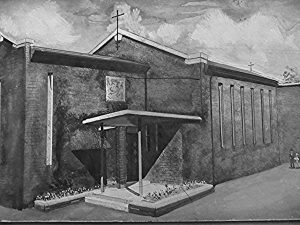 sepia print of St. Matthew’s in the 1950s.